The House of Sandeman was founded in London in 1790 by George Sandeman, a determined young Scotsman. 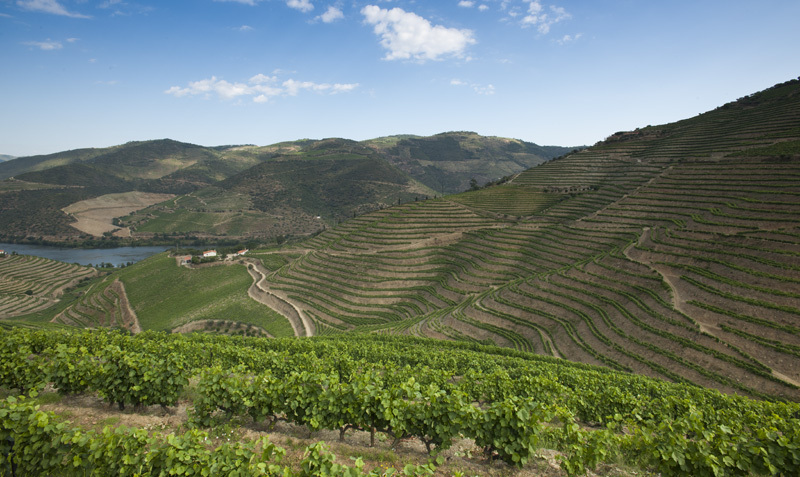 His vision of a bright future for the wine business and for himself was upheld by his father who loaned him 300 pounds sterling to set up as a wine merchant, specialising in Porto and Sherry. 1813 the company’s name was Geo. Sandeman, Gooden & Forster due to the turbulent years when Napoleon and war made it difficult with risk-bearing capital and partners were needed. Godden glide in 1828 and the company were then called Sandeman, Forster & Co. until Forster’s retirement in 1856. George Sandeman died in 1841, he was an obstinate man and even if his son George worked in the company he chose his sister’s son George Glas Sandeman to take over the company. George Glas Sandeman died exactly when the phylloxera came to Duoro i.e. 1868 and his son Albert took over assisted by his younger brothers Johan and George Glas and the company’s name changed to Geo. Glas Sandeman Sons & Co. Albert was the president of Sandeman until he was 90 years old.. In 1923 his son Walter Albert succeeded him as chairman and he was replaced by his son Henry Gerald Walter in 1937. Upon his death his younger brother Patrick Walter Sandeman took over in 1952, followed by his sons Timothy, director 1959-1982 and David Patrick 1982-1990. 1952 Sandeman bought the small Port Wine House Robertsosn Bros and 1962 they bought Offley Forrester which was sold off again in 1973. 1988 they bought their first quinta, Quinta do Vau but already 1979 Seagram took over Sandeman and in 2002 Sogrape bought it. The Sandeman Don, drawn in 1928 by George Massiot Brown, is one of the first trademark images ever created. The Don in a Portuguese student's black cape and bearing a wide-brimmed Spanish caballero's hat is recognised worldwide. Today, the ninth generation of the family, George Thomas David Sandeman, continues the Sandeman commitment and is a member of the board of Sogrape Vinhos S.A. 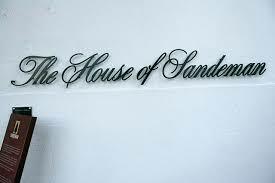 The House of Sandeman was founded in London in 1790 by George M. Sandeman, a determined young Scotsman. His vision of a bright future for the wine business and himself was upheld by his father who loaned him 300 pounds sterling to set up as a wine merchant, specializing in Porto and Sherry. 1813 the company’s name was G. Sandeman, Gooden & Forster due to the turbulent years when Napoleon and war made it difficult with risk-bearing capital and partners were needed. Gooden left in 1828, and the company’s name changed in Sandeman, Forster & Co. until Forster’s retirement in 1856. George Sandeman died in 1841. He was an obstinate man and even the fact that his son George worked in the company he chose his sister’s son George Glas Sandeman to take over the company. George Glas Sandeman died in 1868 exactly when the phylloxera came to Duoro, and his son Albert took over assisted by his younger brothers Johan and George Glas and the company’s name changed to George Glas Sandeman Sons & Co. Albert was the president of Sandeman until he was 90 years old. In 1923 his son Walter Albert succeeded him as chairman and his replacement was his son Henry Gerald Walter in 1937. Upon his death his younger brother Patrick Walter Sandeman took over in 1952, followed by his sons Timothy, director 1959-1982 and David Patrick 1982-1990. In 1952 Sandeman bought the small Port Wine House Robertson Bros and 1962 they purchased Offley Forrester which was sold off again in 1973. 1988 they bought their first Quinta, Quinta do Vau but already in 1979 Seagram took over Sandeman and in 2002 Sogrape bought it. The Sandeman Don, drawn in 1928 by George Massiot Brown, is one of the first trademark images ever created. The Don in a Portuguese student's black cape and bearing a wide-brimmed Spanish caballero's hat is recognized worldwide. Today, the ninth generation of the family, George Thomas David Sandeman, continues the Sandeman commitment and is a member of the board of Sogrape Vinhos S.A.